I had the pleasure of interviewing Nick Newsom, Founder and CEO of Ytel, a customer engagement platform providing the best quality in communications for businesses. Nick has led several companies in the telecommunications space, and he started Ytel in 2012 with the goal to build, customize, and host a suite of software applications that help businesses of all sizes communicate effectively with their customers. He attributes much of Ytel’s success to its workplace culture, largely inspired by his own beliefs on work-life balance. I have a unique management style and believe in investing in my employees and promoting a culture heavily focused on work-life balance. I hired a director of talent and culture to ensure that, as we grow, the employee-centric culture stays intact. Ytel cultivates employee success through open workspaces and brainstorming, where creative minds collaborate on innovative ideas and groundbreaking products. Ytel has gained massive momentum and has become a leader in the CPaaS and contact center markets, with products that offer scalable communications through voice, message, and mail capabilities for businesses to communicate with customers and prospects. As of early 2018, Ytel moved its headquarters after outgrowing its previous workspace. Ytel has experienced rapid growth since its inception. In 2017, the Ytel team grew by 147 percent and has shown a 33 percent increase thus far in 2018. I attribute Ytel’s growth and success to its employee-focused culture and awesome team. We leverage technology a ton — it’s in our DNA. Whether it’s video calls, chat applications, or remote-controlled video robots, they all have a common goal: “To enable the collaboration and open communication needed for large team orchestration”. I completely agree with this statement. In order to retain top talent in this market, you have to be willing to invest in your team. You have to give them something more than just a job to show up to and collect a paycheck. You have to challenge them, give them a chance to grow, and most importantly, show them that they are supported and believed in. In doing so, you create more than just a workspace — you create a long-term home. At small scale, managing teams in different geographical locations is actually really easy because of technology. We utilize several communications technologies to keep in constant sync with our remote employees. As you scale, it can become very difficult to effectively manage teams in different regions unless you have solid structure in place. 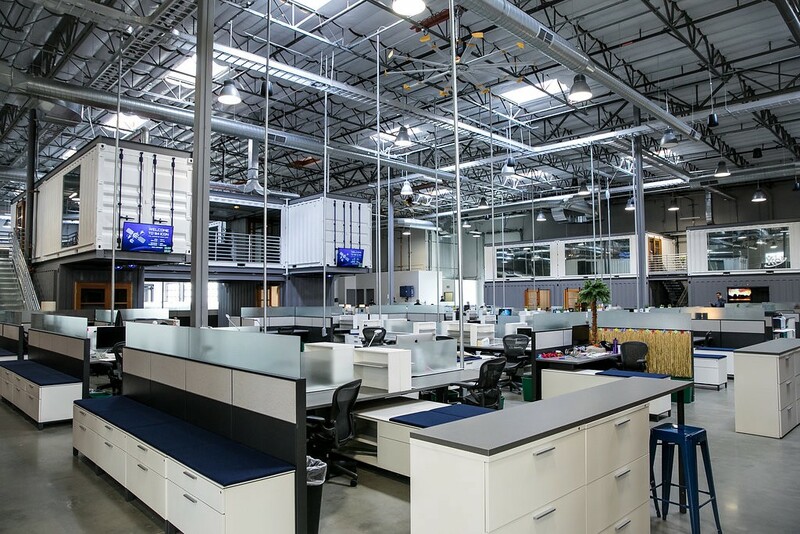 After our rapid growth last year, we made the decision to build a massive headquarters building complete with major technological and cultural investments to provide an incentive to some of our remote work force to move in with us. This new building convinced about half of our remote work force to move. For our folks that are still in different locations, we built out mini headquarter offices to resemble the look, feel, and culture of our Lake Forest office. We also extended our healthy management structure to these mini headquarters so they truly feel like an extension of HQ, not a remote office. ● Practice outstanding, open, and ongoing communication — get to know your team through rapport, trust and influence. Listen. ○ Example: This begins with culture. People need to know they are in an environment where they can have an open dialogue with the CEO, or anyone in the company for that matter, and the culture at Ytel was designed around this pathway to this communication. ● Instead of focusing on weaknesses, focus on strength. Determine each team member’s strengths and use these strengths to build a strong team, each complementing the other. Use natural talents and cultivate these. ○ Example: It’s essential to identify the strengths on teams and balance accordingly. It’s also important to know the strengths you want in your organization and be sure that those strengths are part of your hiring culture. ● Stay positive and work as a team. ○ Example: Conflict can arise, but no one minds because of the rapport, trust and influence (RTI) that has been developed at Ytel — everyone has each other’s back and is focused on the goals of the company. Building in reward systems that emphasize and recognize teamwork and positivity — not just when someone does something good for their own group, but also when they help out another group or team — is critical. A company’s recognition system has to recognize people who help out all levels and elements of the organization. ○ Example: One of the most challenging things within a company is keeping everyone in alignment. I make the time to spend with any and all team members, not just the leadership team, to keep a pulse on alignment and direction. People who don’t know what’s going on feel out of the loop and this can become counterproductive if they aren’t brought in to product, business or cultural changes that are taking place. It’s business-critical to have a culture and communications strategy in place that defines how new initiatives and strategies are presented. ● Know that you are setting the example — culture trickles down from the top. ○ Example: There isn’t an executive kitchen at Ytel; we all eat together as a family. There are little to no perks that the leadership team has that other team members don’t receive. Also, I make sure to lead by example — little things like showing up to meetings on time and showing respect for my colleagues trickles down to throughout the company. I have to live up to the expectations that I have for team members at Ytel.